Let’s understand one thing in the beginning. “Devi” has got nothing to do with “Devdas”. I am not puritanical and I don’t mind watching rehashed or reinterpreted versions of old classics. There are 16 versions of the film based on the striking novella of Sarat Chandra Chattapdhyay’s “Devdas”. 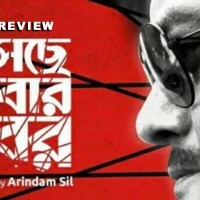 Out of these, I confess I have only seen three - the 1955 version by director Bimal Ray that starred Dilip Kumar and marked the debut of Suchitra Sen into Bollywood as Paro, 2002 version by Sanjay LeelaBhansali and although not listed anywhere, 2009 version “Dev.D” by AnuragKashyap. I have loved all three for different reasons, the common one being a certain honesty and heart in portraying the complexities of the characters. 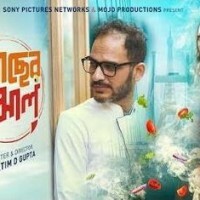 Unfortunately, our current Bengali film in question is questionable, downright silly and it’s preposterous to compare it to “Devdas” in any way. Devi (Paoli Dam) is a rebel from childhood under a disciplinarian mother (Sudipa Basu) and a loving father (Ardhendhu Banerjee). She is apparently a soulful photographer who travels across the world capturing stories. She is also heavily into drinking and drugs. Every time she is back to Kolkata, her love for Prateek (Shubh Mukherjee) reawakens but every time she leaves him high and dry and again goes back to her work. This time, he says no, she cannot do this to him again and eventually ends up marrying Shaun (Rachel White). When Devi hears the news, she is in Pattaya and it has already been one and a half years that she has been globe-trotting. Devi is shattered, takes heavily to drugs, meets Charlie (Chandramukhi) and his gang and ultimately meets her end. The first half of the film makes a little bit more sense than the second one which dwindles more than Paoli’s version of the scattered Devi. As claimed by the makers and presenters, “Devi” tries to be a lot of things – a narrative on female independence, a poignant love story and perhaps a commentary on contemporary times. Sadly, what it becomes is a self-righteous and ridiculous mockery of everything that it had promised to propagate. 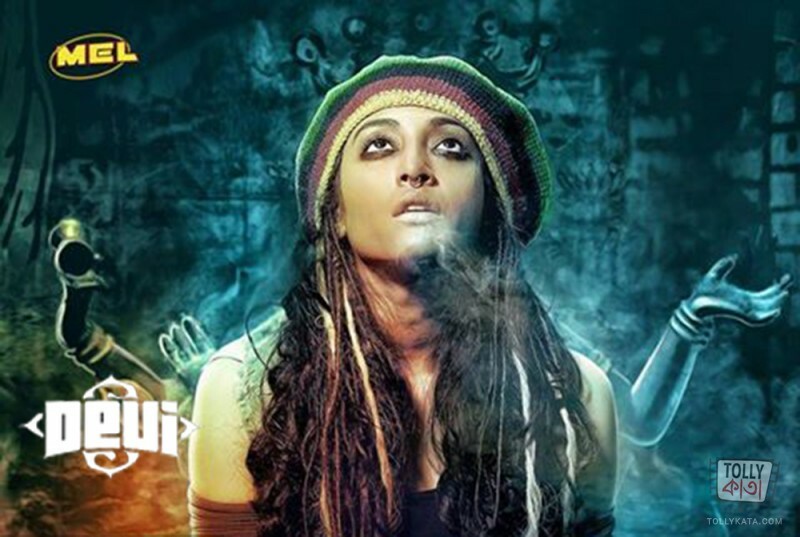 There are two good things about the film –Paoli’s acting to a certain extent and styling. Director Rick Basu picked the right actress to depict the character of Devi – I think Paoli is still underutilised as an artiste. She is subtle, intelligent and convincing in her own right. However, in the second half she overdoes it and kills the efforts of the first half with her stock expressions. Throughout the film, her body language looks contrived. I refuse to blame Paoli for this. Shataf Figar as Charlie and Shubh Mukherjee as Prateek are two good looking men whose ability to act has not been exploited as it should have beenbut Paoli steals the show. Rachel White needs big time work on her accent and voice rendition. But can Paoli salvage a film that lacks emotional content, depth and maturity? Can she lead the film into light when it completely loses the plot and drowns in the pools of Pattaya? Can she be the only reason to watch a film that does not even have soul stirring music to break the monotony? The answer is puffing in the wind. Looking at the trailer, one would think that it’s a smartly made movie. But “Devi” is a cold mismatch of a classic story that cannot be rescued through psychedelic lights. RIP Sarat Chandra Chattapadhyay.